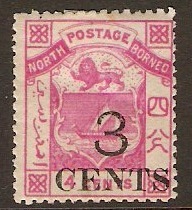 Home :: North Borneo :: North Borneo 1883-1901 :: North Borneo 1899 4c. On 12c. Black and Dull Blue. SG115. 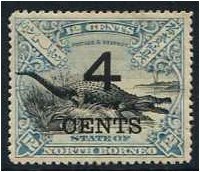 Mounted Mint 1899 4c. On 12c. Black and Dull Blue. SG115.